Very spacious and clean modern set up with various art on the walls. Staffs are amazing! Location close to city and nice and quiet. Actually perfect location. Concierge security was welcoming and friendly on arrival and throughout our stay. Location convenient. Cleanliness and the fact that it is close to V&A Waterfront. 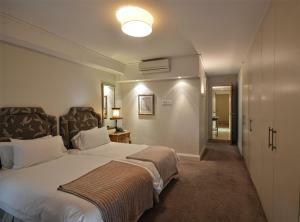 The location is good and a walking distance from the V&A waterfront. The size, and decor of the one bedroom apartment with a balcony was really good. The front desk staff was very courteous and nice and I loved that the unit had a washer-dryer combo which was very helpful after weeks of traveling. 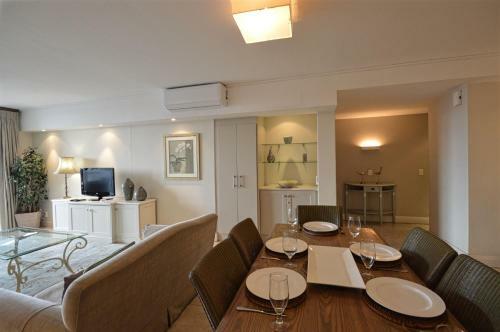 Lock in a great price for Canal Quays Apartments – rated 8.5 by recent guests! Canal Quays Apartments This rating is a reflection of how the property compares to the industry standard when it comes to price, facilities and services available. It's based on a self-evaluation by the property. Use this rating to help choose your stay! 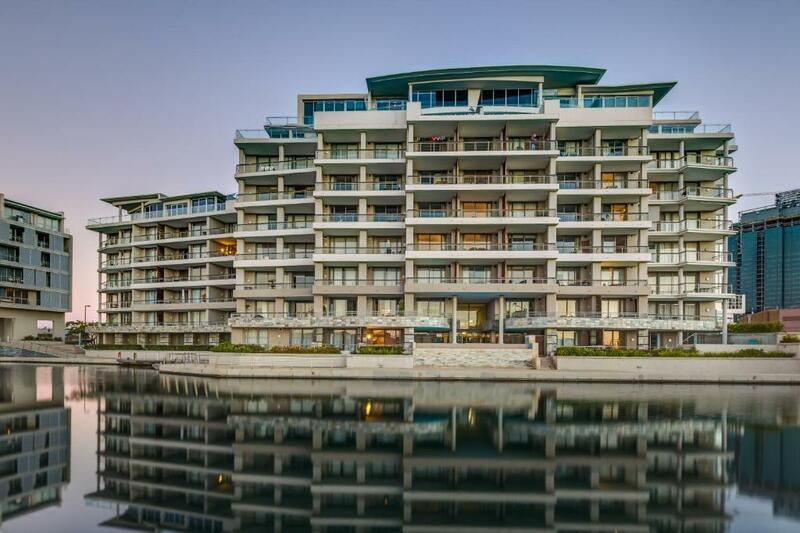 One of our top picks in Cape Town.A 5-minute walk from the CTICC, Canal Quays Apartments is located just 1.2 mi from Cape Town Harbor and 1.9 miles from the Victoria & Alfred Waterfront. The spacious, air-conditioned accommodations at the Canal Quays Apartments all include a balcony and a kitchen with a stove and a dishwasher. Each has a flat-screen TV and an private bathroom. There are a number of restaurants serving a range of local and international cuisine within a 10-minute walk away. Cape Town Stadium is within 1.9 mi, and the Atlantic Seaboard beaches are 10 minutes’ drive away. 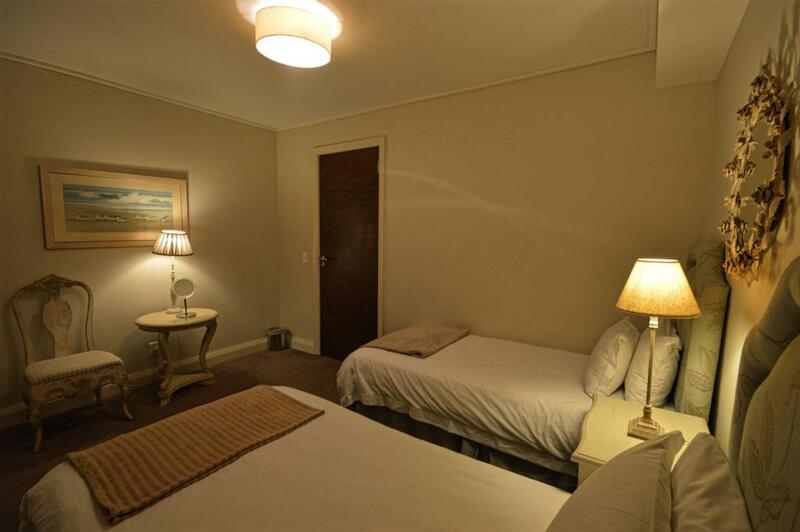 The Canal Quays Apartments are 12 mi from the Cape Town International Airport. Free secure parking is also available on site. When would you like to stay at Canal Quays Apartments? This spacious, air-conditioned studio has a balcony, a kitchen with a stove and a washing machine. It offers a flat-screen TV and an en suite with a shower. This extra spacious, air-conditioned apartment has a balcony, a kitchen with a stove and washing machine. It offers a flat-screen TV and an private bathroom. 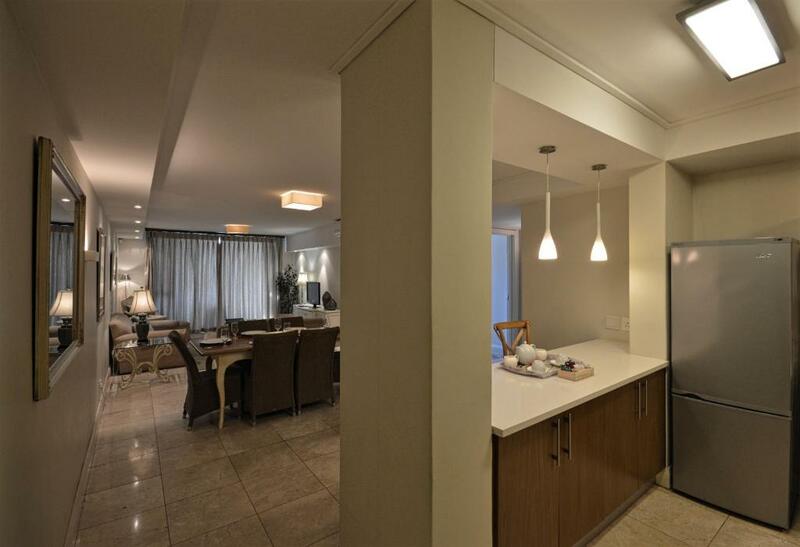 This extra spacious, air-conditioned apartment features a balcony and a kitchen with a stove and a dishwasher. Each has a flat-screen TV and a private bathroom. This extra spacious, air-conditioned apartment has a balcony and a kitchen with a stove and a dishwasher. Each has a flat-screen TV and a bathroom with a bathtub. 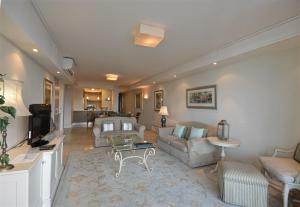 This extra spacious, air-conditioned apartment has a balcony with harbor views. It also has a kitchen with a stove and a dishwasher. Each has a flat-screen TV and a bathroom with a bathtub. The spacious, air-conditioned accommodations at the Canal Quays Apartments all include a balcony and a kitchen with a stove and a dishwasher. Each has a flat-screen TV and an en-suite bathroom. There are a number of restaurants serving a range of local and international cuisine within a 10-minute walk away. Activities in the area include the Cape Town International Convention Centre just 500 m away and the Atlantic Seaboard beaches are 10 minutes’ drive away. The Canal Quays Apartments is 20 km from the Cape Town International Airport. Free secure parking is also available on site. 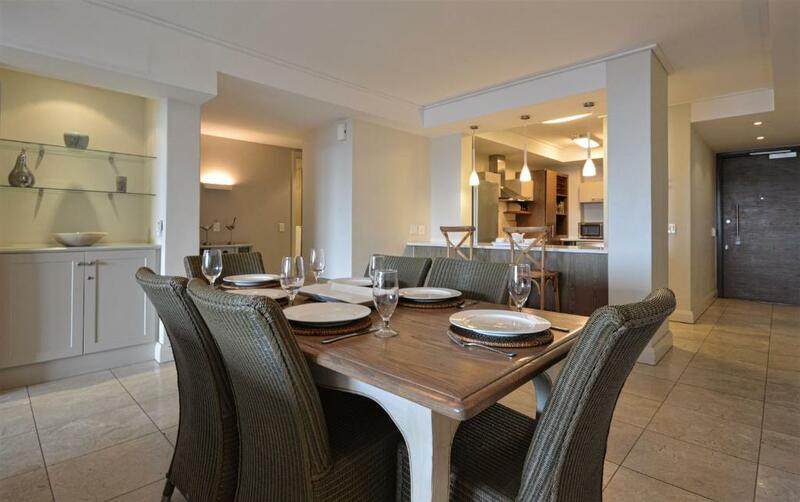 Home from Home Hospitality Services offers four and five-star luxury self-catering accommodation in the Western Cape. We are different from traditional self-catering establishments as our apartments are fully serviced with all the expected benefits of a hotel – such as airport transfers, a reception desk, free parking, housekeeping and business lounge facilities. Our main properties are situated close to the V&A Waterfront and the Cape Town International Convention Centre. 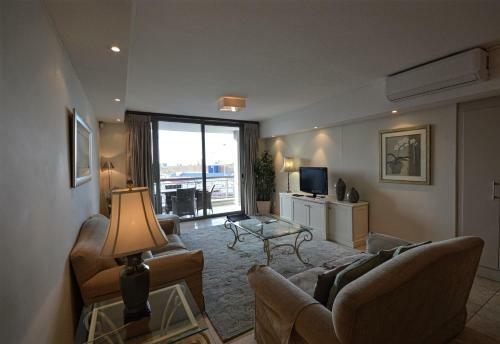 These apartments are less than 500 m from the Cape Town Harbour. It is just over 1 km from the V&A Waterfront and features an outdoor pool. House Rules Canal Quays Apartments takes special requests – add in the next step! Canal Quays Apartments accepts these cards and reserves the right to temporarily hold an amount prior to arrival. Please note guests are required to show a photo ID and credit card upon check-in. The credit card holder needs to be present and the credit card must match the one used to guarantee the booking. Please note that a property adjacent to Canal Quays is currently under construction. The construction is expected to be completed by mid 2018. The building is cut off from both the Waterfront and the city by very busy motorways or deserted streets (at night) which is a pity. A taxi is a must after seven in the evening. Very comfortable and practical with friendly staff. The bed although extremely comfortable was only a normal double bed. For the quality of the apartment i would have expected at least a queen sized bed. 1. Our bathroom basin was blocked and before we booked in they said they were busy fixing it......obviously didn't. 2. House keeping had placed a flat sheet instead of a fitted sheet on the bed which did'nt fit the bed and everytime you turned the sheets did the same. 3. The furniture looked worn, old and in need of a clean. 4. Canal Quays was recommended to us by my sister...she accompanied us the weekend and was disappointed with the state of our appartment compared to her previous stay. 5. We complain and things were fixed the next day. Room cramped. Not enough space in wardrobe. Apartment on ground floor next to the building reception. Very noisy overnight with 2-way radio noises and a beeping sound every time a door opens. Towels, other than that was very good. Beautifully furnished apartment. Very comfortable.